Why Choose the Interior Design Program? Interior design is a dynamic profession, with numerous paths ranging from hospitality to residential, kitchen and bath, sustainable design and more. Our Interior Design program features instructors who are active in the design community, bring realistic projects to the classroom and are committed to providing the most current materials and standards of the interior design profession. Students learn new ways of looking at their surroundings, gain new skills and build confidence in themselves. If you like problem solving, being creative and expressing yourself, this program and career path can provide you the opportunity to make a difference in people's lives through their living and working environments. Our Interior Design Program prepares students for careers with design and architectural firms, home-furnishing venues and contractors. Use the basic elements and principles of design to develop design solutions that enhance the quality of life and culture of the occupants. Develop design solutions in response to the building shell, physical location, and social context of the project. Apply the principles of environmental sustainability as they relate to interior environments. Create functional design solutions that effectively integrate furnishings, finishes, and other interior products. Employ current codes, standards, and design guidelines to promote the health, safety, and welfare of building occupants. Produce organized contract documents, including coordinated interior drawings and specifications. Effectively communicate a design concept through visual, written, and oral means. Use industry-standard technologies to develop and present concepts and designs for interiors. Professionally present design work and qualifications to industry and clients. Meet the education requirements to qualify for eligibility to take the NCIDQ (National Council for Interior Design Qualification) and IDEX (Interior Design Examination) California® exams. Michael is a business owner and independent designer and has been a designer in the Puget Sound area for more than 40 years. He attended Parsons The New School for Design in Paris, is a past president of the Washington state chapter of ASID, and has been an NCIDQ member since 1981. He joined CPTC’s Interior Design program in 2007 and is tenured faculty. Sunny graduated from CPTC’s Interior Design program and holds a bachelor’s degree from Western Washington University. Along with teaching at CPTC, Sunny has maintained her own design business since 2004. She’s an active NCIDQ certificate holder and maintains her AKBD in kitchen and bath design from NKBA. She has taught at CPTC since 2007 and is tenured faculty. A graduate of the Interior Design program at Clover Park Technical College, Julie also holds a bachelor’s degree from Pacific Lutheran University, where she earned her teaching credentials. In addition to teaching at CPTC, she has maintained her own design business since 2005. Julie is an active NCIDQ certificate holder and also maintains her LEED Green Associate credential. Justine is a graduate from CPTC's Interior Design Program and has been working in the industry ever since. She now teaches the Kitchen & Bath Certificate Program here at Clover Park Technical College and operates her own business specializing in kitchen and bath design. Justine is a member of the NKBA and MBA. Interior Design Program Information Sessions are hosted in Building 19, Room 202/210, at 3 p.m. on the second and fourth Wednesdays of the month. For more information and a complete schedule of session dates, click here. 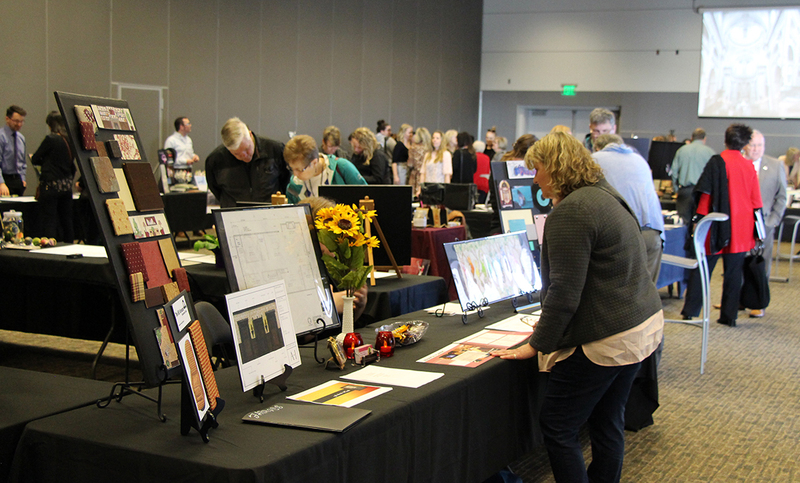 Clover Park Technical College’s Interior Design program showcased the work of its students Wednesday at its Winter Portfolio Exhibition in the McGavick Conference Center. 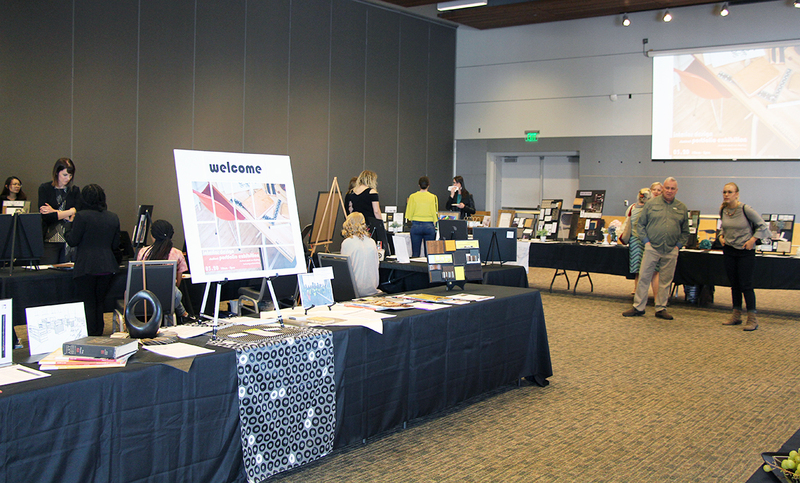 The Clover Park Technical College Interior Design program hosted its Winter Quarter Student Portfolio Exhibition March 15, giving students the opportunity to showcase their portfolios of work for classmates, community members and prospective employers. When you discover your passion and a career path to match, it helps to have the opportunity to get a head start towards that goal. 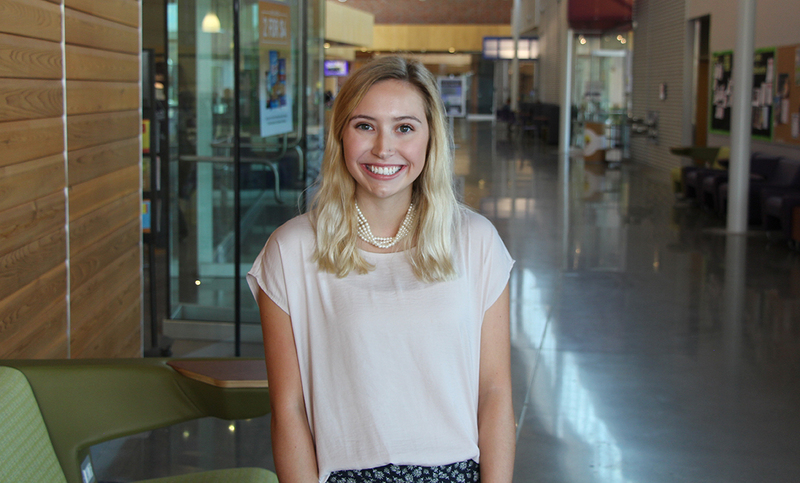 That’s exactly what Krissy Gala did when she came to Clover Park Technical College and Northwest Career & Technical High School to study interior design.